Today, the use of laser lights have dominated so many industries. Lasers have been used when performing surgeries, dental procedures as well as other medical procedures. It has also been used for projectors in company meetings, schools, conference halls, etc. Moreover, laser lights are also a common characteristic of clubs, discos and concerts. Recently, laser light technology has even played its part in the field of automobiles with Audi’s new model. Aside from the aforementioned uses of laser lights, it has also taken over the traditional Christmas decorations. Series lights or the traditional Christmas lights are slowly being replaced by the more modern Christmas laser lights. There are several reasons as to why many people have turned to laser lights instead of the old-school series lights. But let us look into the two main reasons for its popularity. For one, laser lights projectors are more cost efficient. 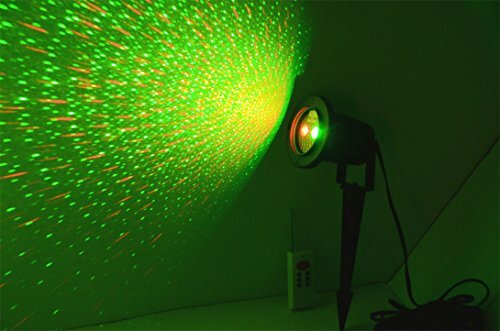 You heard that right, laser lights truly take it easy on your wattage meter; many laser lights projector operate below 5 watts and yet, it already provides beautiful patterns and covers a wide range of area. Compared to the traditional Christmas LED light which may take 20 watts or more, laser lights projector are truly a great choice as it is budget-friendly and attractive. Another reason why laser lights projector for special holidays are preferred is that fact that it is much easier to install or set-up. There is no need for climbing ladders, risking a fall, or mounting techniques. With laser lights, you simply mount it on the ground and point it at the area where you want the light patterns to project. So, if you’re planning to some lights for your Christmas parties or other events, laser lights are, indeed, a better choice. But before purchasing the first laser lights you set your eyes on, there are a couple of questions to ask yourself before buying. These questions will serve as a guide for you to purchase something that is actually worth your money. For more information regarding laser lights for Christmas, check out Laser Bros’ Lighting Info. Without further ado, here are things you should ask as you get your very own laser lights projector. When it comes to laser lights projector, you want to maximize its usability. Don’t go for projectors that are only appropriate for indoors; choose laser lights which can survive being rained on in your garden. Having a waterproof laser lights projector would mean that the product is durable and can withstand wet seasons. What are the colors and patterns it projects? 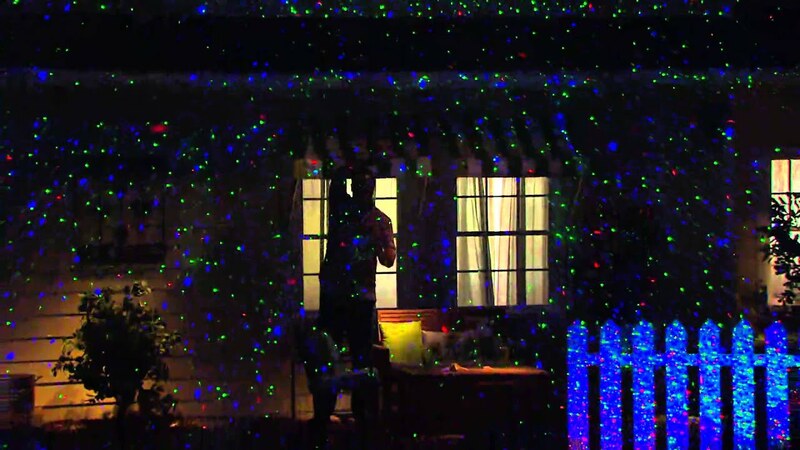 The patterns and colors you go for will largely depend on how you plan to use your laser lights. If you plan to use this projector solely for Christmas then patterns and colors that relate to the occasion may be enough for you. However, if you want to use it for other events, choosing a laser lights projector that offers more patterns and colors would be a smarter move. Compared to plastic, metal material is definitely a better choice because it lasts longer. So for those who reside in a place where weather is usually harsh, a metal-material laser lights projector is the best for you. Otherwise, plastic will work well. Not all laser lights come with remote controls. For those who want the most convenient way around, go for projectors that have remote controls which allow you to adjust and change settings from a distance. However, if you have no problem spending a few minutes manually tinkling with the projector, a remote control is not necessary.